Below is the feedback from the students who attended SIGGRAPH 2011 in Vancouver, BC, through the Spend a Week at SIGGRAPH program. The ACM SIGGRAPH Computer Graphics Pioneers and the GRAND Network Centre of Excellence sponsored the students. SIGGRAPH 2011 is easily defined as an experience, the only question for me here is: was it a good experience for me? Well, to answer the question quickly: yes, SIGGRAPH 2011 was a great experience. 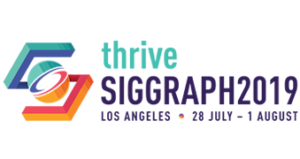 I had not heard of SIGGRAPH before I signed up for this, and thus could not place what level my expectations should have been. That being said, a lot of what I learned at Siggraph 2011 completely blew my mind. The schedule, upon receiving and reading, made it clear that I would not be able to attend every event that I wanted to. So I had to prioritize. Between the tutorials, courses, events, demonstrations, there was a lot I wanted to see. And thankfully I got to most of them. The tutorials and courses that I went to gave good examples of how to work and cheat in a lot of the animation software as well as some tricks to make your life easier. A lot of what I saw I made mental notes on; how to simplify water, how to render and texture. While I will have to find out how to use the tools on my own, these examples will defiantly make it easier when I eventually start to work on them. The exhibition by far was the most incredible, as well as daunting. Upon the first entrance into the exhibition, I found myself utterly confused on where to go and what check out. Eventually the little light clicked on, and the answer became: all of them. So thus started the endless travel of walking from booth to booth. I can say that without a doubt, that got a lot out of this, both mentally and literally. First off, I gathered quite a bit of knowledge on the present companies, and knowing that there is more about them on their website, I go online and I am still in the process of going through each of their websites, it is quite a long process since I have to go through all of the business card and brochures that I received. That bring me to my second off, all the stuff: business cards, brochures, pamphlets, booklets, stickers, pens, t-shirts, and pins. There was an endless supply to it and majority of it seemed to be top quality material. This is their way of having us remember them, and it works like a charm, what shocked me was that they gave out stuff that for a fact I knew were over twenty dollars. I did feel a bit awkward walking away with software. Seeing as how SIGGRAPH 2011 was a memorial experience that was great, I had to ask myself: would I do it again? SIGGRAPH blew my mind and gave me a lot of knowledge that I did not know before I came. I found new programs; new techniques; and new styles, most notably using 3D models to make a comic book (it was new and interesting for me). and I even got myself a book from the little shop, a tutorial on designing characters. So now that I went and saw a lot, I could easily say that I found all I need to know. That is not the case, something important I found is that technology and software development moves fast and the industries constantly find new and interesting methods and tricks. If the opportunity ever came up again, yes I would defiantly go to SIGGRAPH again, maybe when I have more knowledge about animation, so that can see just how far animation has come and fast it can go. The first thing I’ll say about SIGGRAPH is WOW! That was absolutely amazing! So far, that is the largest and longest convention I have attended, and it was also the best. The closest thing to compare SIGGRAPH to is an ocean, overflowing with technologies, information, free give-aways, and people. When my Animation teacher first introduced me to SIGGRAPH, I thought it would be the perfect place to look for where to continue my education towards a career in the game design industry. Suffice it to say I got what I wanted. Along with a metric ton of business cards, I attained a knowledge of what the various schools, academies and institutes are looking for in a student. I also got a good feel for what I could expect to learn, how they’d teach me and even an idea of the environment at many of the campuses. However, my absorption of information wasn’t limited to just scholastic. I got a great look at some emerging and developing technologies, such as 3D printers, new interface methods and new ways to display information. Three-D printers really fascinate me because I love the idea of being able to sculpt something on a computer, where it is far easier to correct mistakes there is often a greater degree of freedom, then take said creation and simply print it into a physical state. Much easier and accurate, in my opinion, than sculpting by hand. One interface that really impressed me is a drawing program that allows you to draw in mid air, using a camera-tracked stylus to lay out the design, and a similarly tracked set of eyewear to allow you to walk through the 3D canvas. Though it takes a bit of getting used to, the potential for such a system is phenomenal! Three-D has gone a long way since the glasses with red and blue acetate. So far, in fact, that some systems render the glasses obsolete. I’m not complaining. Those glasses can be really uncomfortable. In the Emerging Technologies section, there was one booth that really caught my attention. The Recompose was the most amusing thing I have ever used. Even though it was designed as a tool, I could play with that thing for hours on end. It kind of makes you feel a bit god-like. The few lectures I actually made it to were very interesting. This included things like gender stereotypes in games all the way to a new modeling method that only requires the input of a grand total of two lines. Unfortunately, I missed the Game Papers due to over sleeping, and from what I heard people say about them, they were most fascinating. The greatest part about being a student attending SIGGRAPH was that so many companies offer free software use to students, so over the course of the convention, I gained access to many tools that will undoubtedly help me towards building my skills and success. The people there were all friendly and helpful, ready to give information and/or assistance at any time. I noticed some were overworked or in a hurry, and would still assist where possible. It’s not often I have run across a building full of people like that. So, saying all that, I can conclude without a doubt, SIGGRAPH was a learning experience unlike any other I’ve yet experienced, and that I am definitely going to be among the crowds of this wonderful convention again. I can state that as a fact. The conference as a whole was a brand new experience for me as I have never been to such a thing before. To begin with it was quite intimidating seeing the crowds of older and more knowledgeable people everywhere and hearing bits and pieces of their conversations. As the days progressed, I became more and more comfortable talking with strangers. From people in the hallway to employs running the exhibit booths at the end of the conference I felt quite comfortable asking about how they got to where they are in the industry and if they had and advice for a student wanting to enter their industry. I spent the majority of my time in The Studio and Exhibition area mainly because those areas were more hands-on which is what I enjoy. The talks within these areas made more sense to me than the technical papers. Within The Studio there were many interesting people and stations to interact with. The most memorable would have been the Unity3D in the middle of the studio. Throughout the past year I’ve been working with Unity which made it really insightful being able to sit down with other devs and the creators of Unity and discuss ways around problems I had. One of my favourite parts about SIGGRAPH was the exhibition area. It was filled with a diverse spread of people and companies. All the companies were for the most part welcoming and forthcoming with information about themselves and how students should approach the industry. The two booths I enjoyed the most were Google and Intel. The employs there were friendly and very helpful in answering my questions and telling me more about their companies. We had some deep and meaningful conversations about their products and services that they offer. Another company that was exceptionally kind towards me was Shotgun Software. We spent some time discussing various project sharing software and the pros and cons to each of them. They seemed genuinely interested in my goals and projects in the near future. Stephen, the employ who was dealing with me then offered me a “special deal” on his software. My mentor came about two hours late and seemed quite busy the whole time. She explained to me about her company along with what talks and presentations that use her company’s product. She also later invited me to a private gathering. In this gathering there was a roomful of people in the industry who use their product. I was introduced to a once intern at Digital Domain and we discussed the industry and how a student should go about entering the industry. The whole gathering was slightly awkward because it seemed as if the majority of the people knew each other and I was unsure exactly how to approach them. I believe I would have benefited more if my mentor had of been more hands on and a bigger part of SIGGRAPH as I only saw her those two times throughout the entire conference. The talks that I understood were every enlightening and educational but many times they delved deeper past my understanding and I was completely lost. Some of the topics of the papers were a bit dry and others I could not grasp their purpose. One of the Game Papers I sat in on was about World of Warcraft and how the genders of the NPCs were evidence of sexism within video games. The 6 days I spent at SIGGRAPH were amazing. SIGGRAPH truly was an incredible experience, and I feel that I truly contrived many great and extremely useful pieces of information about not just the game design industry, but the digital media industry overall. I wish I was there longer, there was so much to learn and so many things to see; I found I could hardly find time to even get lunch because I would miss at least one lecture. It was something that can really only be defined if you were there. By far my favourite parts of SIGGRAPH was the exhibition room and the gallery, I got the chance to meet an incredible slew of new people who were happy to oblige my questions involving the industry as well as I got to hear some stories and learn much from their own experiences. In the exhibition hall I spoke to a lot of amazing and talented experts from the industry. In the gallery I saw a lot of really cool things, from a chair that simulated things happening in a video game (things like hitting the brakes and accelerating), to a bunch of wire imitating a patch of tall grass out in a field. However their was one booth that left the most lasting effect, the Makerbot 3D printer booth where I met a man named Isaac; I am currently still maintaining contact with him despite the fact that he lives in New York. I really enjoyed the time in that booth and most likely spent most of my time at SIGGRAPH at that booth. I also was extremely inspired by mentor. He answered many of my questions and silenced many of the fears that I had regarding the game design industry, despite the fact that I spent at most a total of 30 minutes talking to him it; was enough to set me on a pure trajectory into the digital media and game design world, if It hadn’t been for him I most likely would not be heading the direction I am now. Overall I would consider SIGGRAPH one of the best weeks of my summer, I have next to nothing negative to say about, and the only complaint I could think of was the fact that it was so short. I definitely will be attending next year! SIGGRAPH Vancouver 2011 was an amazing experience I hope to have again in the near future. SIGGRAPH has given me the opportunity to learn a lot more about what I would like to do once I leave high school. I also found it very helpful that I was able to talk to professionals in a lot of different fields to get some tips on what classes and courses to take to try and help me get a job where I want. I met a lot of these professionals in the job fair part of the expo. There I was able to see some of the jobs that I could do and too see what I might be doing as a future career choice. I was also given the opportunity to give out my resume and was even able to talk about high school internships. Although the job fair was pretty small there was a lot to do and I spent quite a lot of time in there. There were so many amazing things to do and see. All of them blew my mind but a couple stood out for me. First, were the showings of the animated shorts. They were outstanding! One of them I really enjoyed and cannot wait until it comes out so I can watch it again. One of the big things at SIGGRAPH this year was the 3-D printers. They were everywhere with all different material types, sizes, accuracy, and costs. It got even better when I learned that I was able to bring in models that I made at home on the computer and print them out. Also just walking around on the expo floor was a great experience. There was not much to dislike about SIGGRAPH, but one thing that bugged me. Since it was my first time going to an event like this I was very lost once I arrived. It was easy to find help, but the help that was given only made me more lost. I was being sent in circles around the place and it seemed that the people working at SIGGRAPH were not given the same information. That and the timing of events are my only dislikes. Other than that it was very well done. SIGGRPAH has amazed me and I hope that I will be able to visit next years and the ones to follow. Attending the Vancouver SIGGRAPH convention was a massive experience. I never thought I would have seen and learned so much from this; this was an incredible opportunity! Meeting real professionals in the business and getting to talk to them and learn what they do was by far the best part. Having the opportunity to see what it’s like to be in this industry was eye opening for me and now I can’t wait to get my career started! Talking to the professionals really opened my eyes for what I am going to do post high school; they gave me a clear path to my career! Going into the open gallery was mind-blowing. I never knew so much technology actually existed, and I would love to this technology used in the future. As well as we got the opportunity to interact and use most of the machines and prototypes in the room; I can easily see people utilizing this technology for greater purposes. Using the 3D printers was great! I never knew something could print in 3D with such accuracy! The conferences put on by NVIDIA and all the other companies were really eye opening. I got to take a look at rendering techniques in math equations, and had no idea what I was looking at. But none the less, I can’t wait to learn! Also the short film showing was really uplifting, especially watching the indie short films; they were artistic. There were so many conferences I couldn’t see them all, but I wish I could’ve! Seeing a conference was like getting taught to do something I’m going to learn in ten years, and getting a little sneak peek and what’s in store! The exhibition was my favourite part; I got to speak with industry professionals and learn about what they do, what they are working on, and technology coming out in the future and test their equipment! There were so many companies it blew my mind! I never knew half the companies in the exhibition existed, and I’m so glad I got to meet all of them. The job-fair was an excellent add-on to the exhibition. I was offered an internship program for high school students and learned about many great scholarships companies were offering. Going to this convention was the greatest opportunity I’ve had career-wise. I hope to attend other SIGGRAPH conventions in the near future and see what they’ve got in stock for me! Attending the SIGGRAPH convention this year for me was one of the coolest experiences I’ve had. Between all the talks, courses, presentations, animations, and the exhibition, there was never a dull moment, and there was always something to do. Sometimes I found myself conflicted between many different things trying to pick and choose what to do. One of the things that I took particular interest in was the Emerging Technologies section. It was really neat to see all the up-and-coming technologies being brought up in the future. I’d often visit this section at least once daily, since it was easy to reach and spend whatever amount of time I wanted there while I waited for the next thing on my list to occur. The exhibition itself was a major part of the whole experience itself. Between getting to watch presentations and seeing all the new advances in technology, it was neat to be able to talk to all the people who actually worked in the industry and it was really useful to be able to ask them questions about their field and about what they did; it gave me a real insight into their work and gave me a better idea of what their company was like. I found it really valuable to be able to look around at everything and I was able to discover new things I knew nothing about previously. Along with the whole discovering new things thing, I also came across something at one of the courses I went to about NIME (new interfaces for music expression). It seemed like a really interesting concept and I got into it more as the course went on. Music is something I’m very interested in and this showed a new kind of way to make a present music. Not only that, there’s a lot more behind NIME then just the making of the music-there’s the creation behind the instrument used to make it, and with varying styles, it was shown that music can be made out of anything, even sensors. Overall, my week at SIGGRAPH was a very satisfying and full-filling experience that I would defiantly do again if the opportunity presented itself again. I had a very good time at the convention and enjoyed practically everything that it had to offer to me. The first thing that strikes you is the colours and the noise. You suddenly feel small compared to this strange wonderful place. It reminds you of things you have heard of, but never had the chance to see, something which has always been out of your reach. Then you remember your purpose here and leaving your mind open, you begin to wander this place of technology, this place of dreams that have taken form. I am a student at Frank Hurt Secondary School. I attended SIGGRAPH 2011 as part of the student pioneer program and this essay is about my impressions of it. The things I liked about SIGGRAPH were the Art Gallery/Emerging Technology, the presentations, and meeting people from all over while I didn’t like the confusion. The Art Gallery/Emerging Technology was definitely an interesting part of SIGGRAPH. It showed both technology and innovation. Most of the exhibits were interactive and made for practical use such as an optical illusion meant to organise pedestrian traffic and an egg meant to simulate closeness through touch over long distances. Other interesting devises include a pillow that makes sounds when it is touched, a robot that moves under a metal floor, a music box that make sounds depending on which buttons you touch and how much you turn them, and an interactive game meant to replicate making a pancake. Not only was the purpose of the exhibits in itself interesting, but the interactive part showed that such ideas could be accomplished. The presentations were also a wonderful part of SIGGRAPH. The Computer Animation Festival Screenings were not only entertaining, but inspiring too. It showed how emotion and messages could be projected through imagery as well as that student (most likely university students) could achieve the same quality and effect as professionals. The Production Sessions were also fascinating. Explaining how they create such great effects and storylines make it seem much more possible for novices to be become great animators. One of the things that really stood out during SIGGRAPH was the diverse nationalities of the people there. You could hear it in their accents and their languages. It’s amazing how people travel the world to come to this event, whether it is to show off their projects or to observe. It shows just how important SIGGRAPH is. My mentor was from the east coast of the USA. He had great humour and was understanding of my shyness. I enjoyed my time with him and I think he did the same. Having people come from all over to divulge themselves in this wonderful technology, it shows just how much we are in this together. It is all our duty to advance this world. Now, the one thing I didn’t like about SIGGRAPH was the confusion. It is easy to feel overwhelmed with hundreds of people walking around and all 149 exhibit booths were crammed into one building. I understand that there is really no where you can fit SIGGRAPH without it being a bit pressed for space, but it was very easy to overlook some of the booths because you don’t notice them. It would have been helpful to distribute a pamphlet with a little bit of information on each booth so that it is easy to understand what each company or product does so you can locate certain booths in particular. There was also an occasion where a presentation was supposed to show, but it didn’t. It would have been nice if there was a sign to say ‘Show Cancelled’ or something like that. I liked SIGGRAPH because of the Art Gallery/Emerging Technology and the presentations while I didn’t like it because of the confusion. All in all SIGGRAPH was definitely remarkable and much bigger than I expected. If it ever comes to western North America again I will be sure to visit. Thanks for giving an underage high school student the ability to attend this year. I will look into some of the programs I’ve learned of and see if computer animation is the path I wish work in in the future. The best part of the conference in my opinion was the emerging technology. My experiences at SIGGRAPH was a verity of different emotion, from absolute fascination, to the anxiety for waiting to go into a different event. Some of the things a did not know what they were about such as the new technology exhibits, but that was where my mentor was to help me and explain what they were about. The best part of the conference in my opinion was the emerging technology. The floor mat that picked a direction for you to walk so you do not knock into another person seemed like a bad idea at first but once I knocked into someone i realized its potential, if only it was a bit bigger. The virtual crepe maker was really cool, how it got weighed down the more you had in the bowl and pan was nothing to the enjoyment of having to flip it and place it perfectly into the plate to add the topping onto it. Also the racing game with vibration could help blind people play video games which would be excellent for the industry, it would vibrate in different places when you would knock against a wall or when you hit the break and the boost. I thought that would be revolutionary. I also really liked this new technology that would allow you to work on 3D objects really well by spinning, magnifying, and using your hands to work on it. It was sort of like the modal viewer in Iron Man, but with two screens. I also enjoyed the animated shorts, they were really expressive and interesting, and just watching the applause they got made me want to create one, so I know it would make other people want to make them also, which would be excellent for the industry. Some of the things I did not like was the art sections, although the one that showed the wind from a different place was cool, along with the Polaroids. Not being an artsy person I could not find myself enjoying them as much as I did the emerging technology section. Also watching the making of different things such as movies and video games make you realize just how much go into making these things that people enjoy or just set aside. Just seeing the difference of stage one Thor to stage three is extraordinary and then from that to final productions makes you at a loss of words. Just looking at how many companies went into the making of Thor is amazing, because it makes my head hurting just wondering how long it would take a single company to do all of Thor or Captain America. Some other things that I did not like was how slow it felt in a few moments, if you were not interested in a particular event you were stuck twiddling your thumbs. For example, Monday, I saw all of the emerging technology, artistry, and even at my try at 3d modelling, which is not for me. I went through all of that in about 3 hours and was left doing nothing but waiting for the Captain America and Thor event and the reception, just lucky I had a book on me. All in all I really enjoyed this conference and would like to thank you for the opportunity to attend and would be thrilled if it came back to Vancouver. Thank you. To be honest, I didn’t even know about SIGGRAPH before my animation teacher told me about it. but once he did, it definitely looked like something that I would be really interested in (and it was pretty much a no-brainer because I was actually getting paid to go!). Luckily, I was accepted to attend the conference and my friends were a bit jealous. In the few days before the conference I have to say that I was getting to be a bit nervous as the whole thing seemed quite daunting and was so much bigger than me. However, once it all started and I got to experience it a bit, I got into it and really enjoyed myself. I ended up spending most of my time in the screening theatre where short animations and trailers and such were being shown, as well as the exhibition floor. There was so much to look at in the exhibition and I was drawn to the Autodesk, Pixologic, and Wacom booths because they were always having demonstrations from industry professionals and I would learn a lot from them, even if much of what they were talking about was far more complex than anything I had done in the past (these booths also had seats and my tired legs were thankful). It was a joy to see the programs that I have used and to see them used to their full potential, with tools and options that I didn’t even know had existed. It was all quite humbling. At the Wacom booth I got to play around with their massive tablets and it made me really want one. The Theatre was a great place to just go and relax if I was getting tired and I could see some great animations. One problem that I had with the conference was that if there was more than one presentation happening at the same time that I wanted to see, I was kind of hooped for seeing one of them. But it wasn’t a big problem because I didn’t run into it that often. I ended up seeing most of what I wanted to see, and it was especially cool to see people from the video game companies talk about their games, games which I had played at home. Another small problem that I had was that everything seemed really spaced out and I would have to go on a long walk just to get from one place to another, but I do understand that in order to hold a conference of such scale things would have had to have been spaced out as they were. Although I spent most of my time wandering the conference by myself, my mentor was very helpful and really enthusiastic. On the first day we met and had a look at the schedule of the day to see what I might want to go and see, and after the first day I had a good idea of what I would be doing for the rest of the conference. I had a really great time at SIGGRAPH and am grateful to have gotten to go. It is difficult to summarize the experiences I’ve had at SIGGRAPH2011 this year in Vancouver. In a place full of people passionate in the digital arts, my time here was well spent as a student, receiving valuable insight into the world that revolves around digital media. I am grateful to have been given the opportunity to participate in an extraordinary event such as this. The various exhibitors, company representatives, and SIGGRAPH staff and volunteers were all very friendly and helpful. It is amazing how much I have learned in a short week at SIGGRAPH that would otherwise take me years to acquire, and even then would not be comparable to the value of first-hand experience. SIGGRAPH was as much of an inspirational experience as it was instructional. Exploring the many exhibits and events available was entertaining and inspiring. Although most of the information that was given in the talks went right over my head, the experience of simply being there, listening to professionals speak and educate others, was truly priceless. I probably spent most of my time in The Studio. There I attended many talks, some of my favorites included: ‘The Spirit of Rango’, ‘Zbrush Life Sculpting and Portraiture’, and a studio workshops titled: ‘An Introduction into After Effects for Motion Graphics’. These educative speeches taught me the fundamentals and basics in the programs I previously had no experience with. Another favorite place of mine to visit was The Exhibition, which – I think goes without saying – was outstanding. I spent much time venturing from booth to booth, seeing what companies were present, what they were offering, and mostly what it was all about. I attended various demonstrations at the Autodesk booth, Intel booth, and participated in an Autodesk: Maya workshop in the AMD Graphics booth. I also made sure to visit the numerous digital art school booths to see what they had to offer for post-secondary students. Finally, I had a great time in the Job Fair. Although I was not there to submit any applications, the opportunity to speak to actual employees belonging to major-companies and studios was phenomenal, including some from Lucas Arts, Bungie, Microsoft, and Walt Disney Studios. Overall, my experiences at SIGGRAPH was memorable and is not something I’ll soon forget. This was an inspirational week that has given me much insight into an area of interest of mine: the world of digital media and design. I am trilled to have been given such an opportunity to participate in this event, and with that I’d like to thank everyone behind SIGGRAPH and the Pioneer Program for making this possible for the other students and myself.